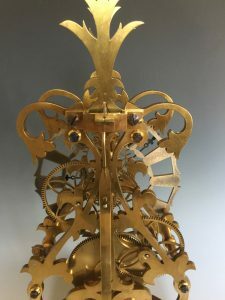 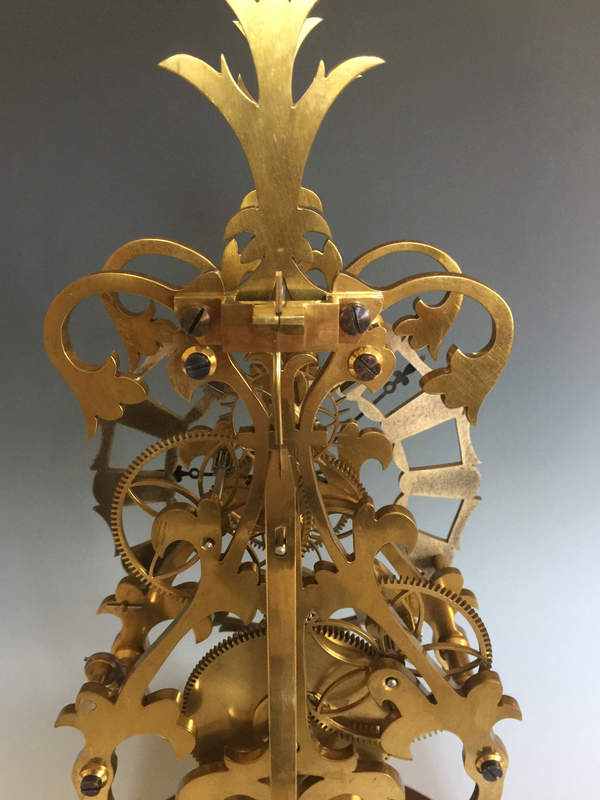 A late 20th century ‘Acanthus’ pattern skeleton timepiece by Peter Holtby. 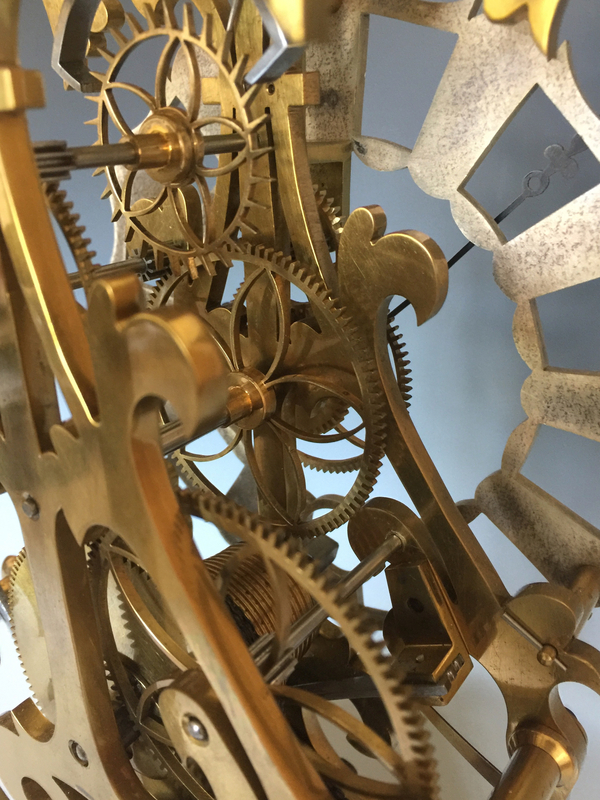 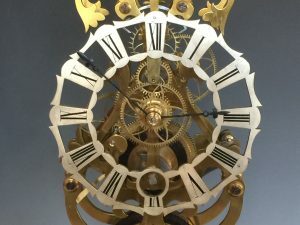 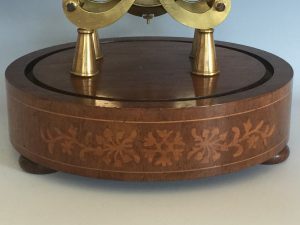 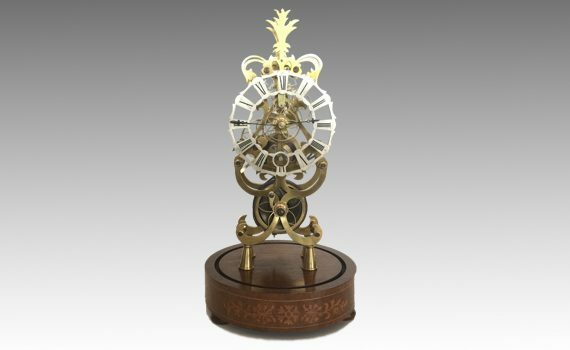 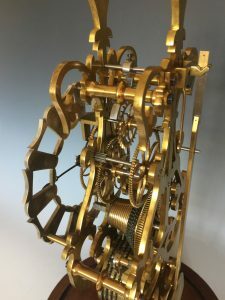 The month going movement with maintaining power and a pierced brass skeleton frame with unusual pattern wheelwork, standing on a circular inlaid plinth base with glass dome. 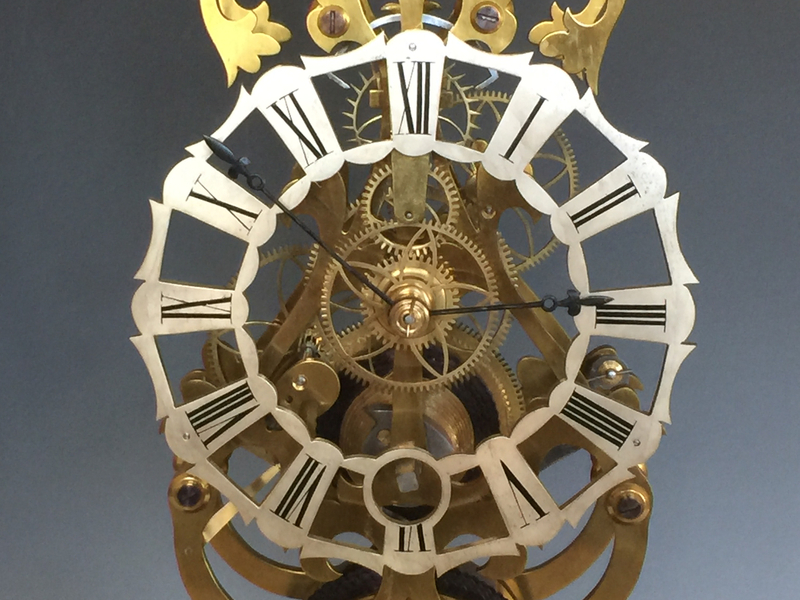 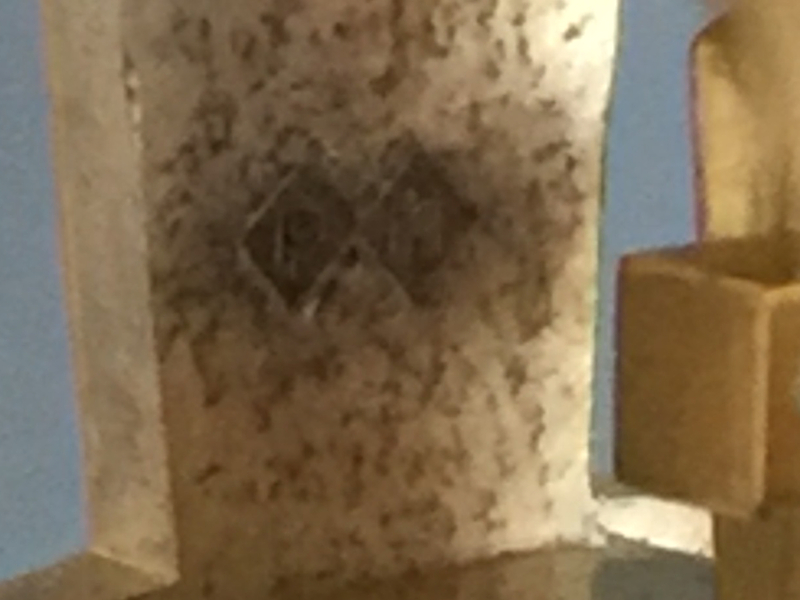 The silvered dial with Roman numerals and punch mark to the rear of 12 o’clock ‘PH’ in two diamonds. 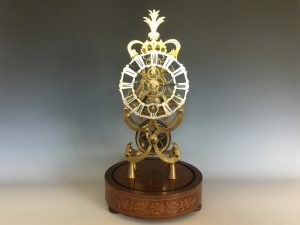 This was the only month going clock made to this design.